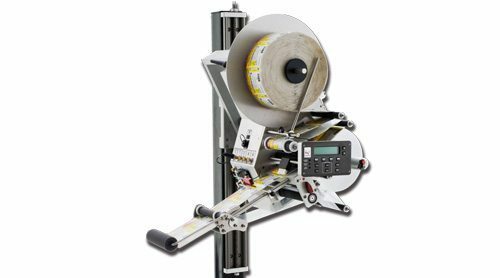 The Q65 labeler is a high performance labeling head commonly used in demanding applications that require 24-7 dependability. The integrated controls and U-mount style mounting yoke allow the head to be rotated to label the Top, Side or Bottom of products with no change parts. It is ideal for stand-alone applications on existing packaging lines, as well as the labeler of choice for a Quadrel high speed open frame system.